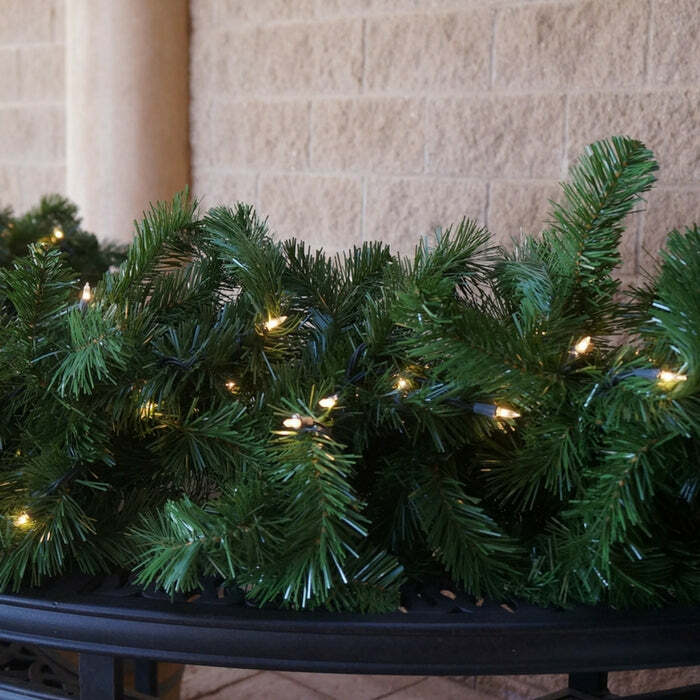 Our lush Oregon fir commercial grade 240 tip garland complete with 100 incandescent lights is a great accent for your Christmas and holiday decor. We put this garland on our railing were it transformed the look of our deck. It looks terrific and has withstood several snowstorms and high winds just fine.